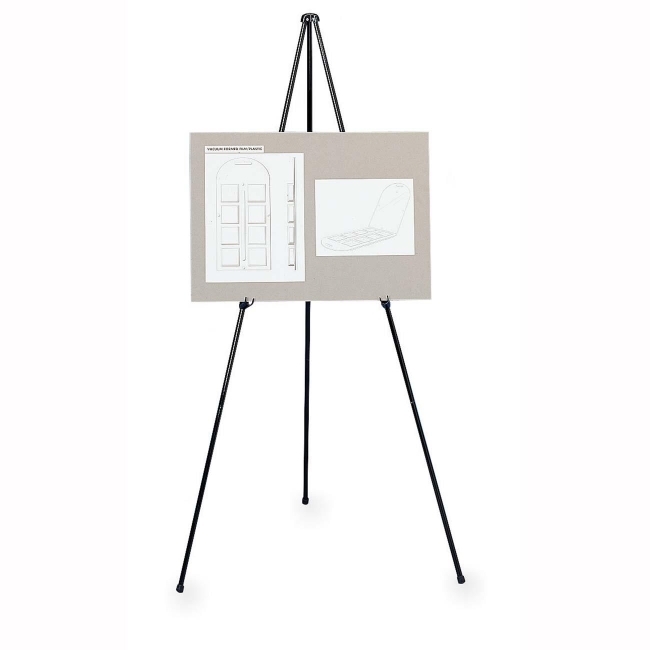 Folding easel folds neatly into zip card satchel for easy storage or travel. Adjustable display holders lock into place anywhere on easel legs. 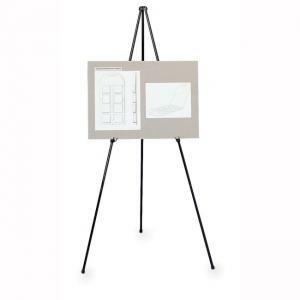 Easel holds materials up to 10 lb.